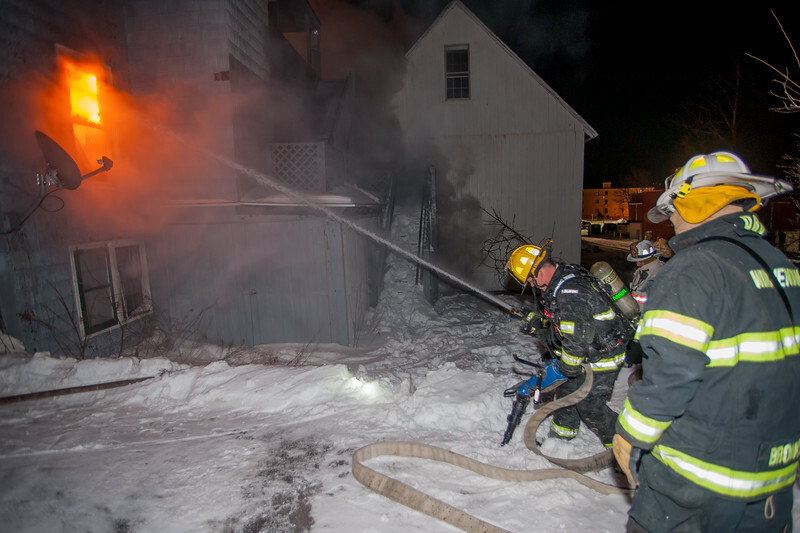 Gardner Police began receiving calls for a building on fire with possible people trapped at 403 Chestnut St.
Gardner Fire was notified and arrived to find a large 2 ½ story wood frame occupied with people still in the building and a severe exposure hazard. Crews evacuated residents and began to fight the fire. Temperatures were around 6 degrees, with a steady breeze. Eventually 4 Alarms were struck with Mutual Aid coming from Westminster, Hubbardston, Winchendon, Ashburnham and Fitchburg. Crews hit fire on the 1st floor rear from the rear yard of 403 Chestnut St Gardner during a 4th Alm fire.